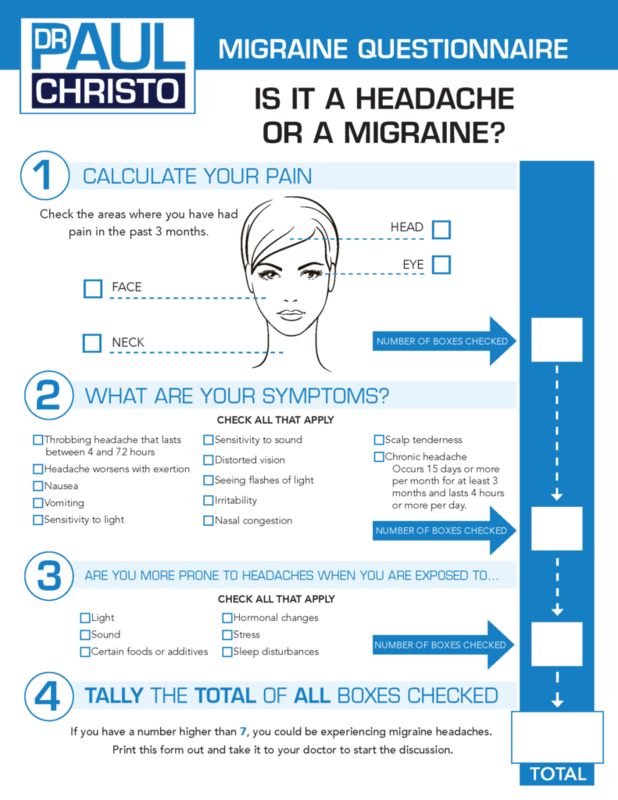 Have you been wondering whether your severe headaches are actually migraines? 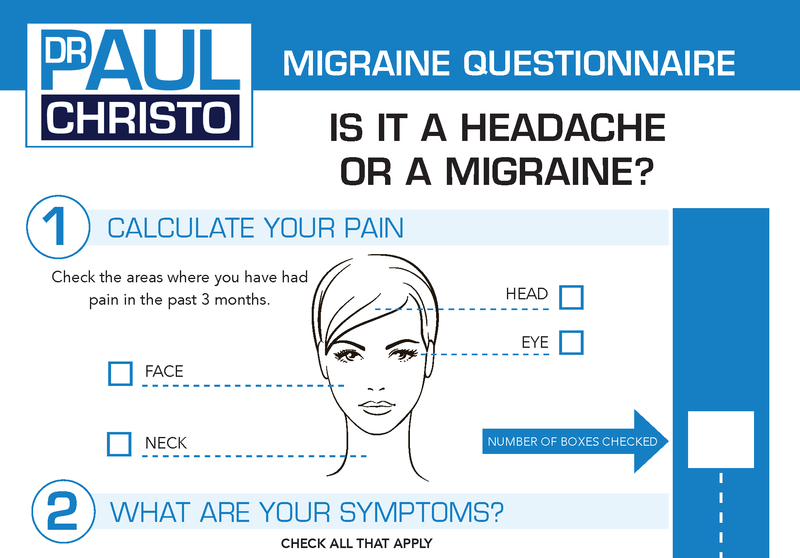 Complete this questionnaire and take it with you to your next doctor’s visit. Posted in Head & Neck Pain, Head Pain.